Brand new key fob replacement for Ford Transit MK6. Remote 3 buttons model. Ideal to replace or refurbish your current damaged unit. This case has blank 433Mhz chip installed that needs programming to your vehicle. 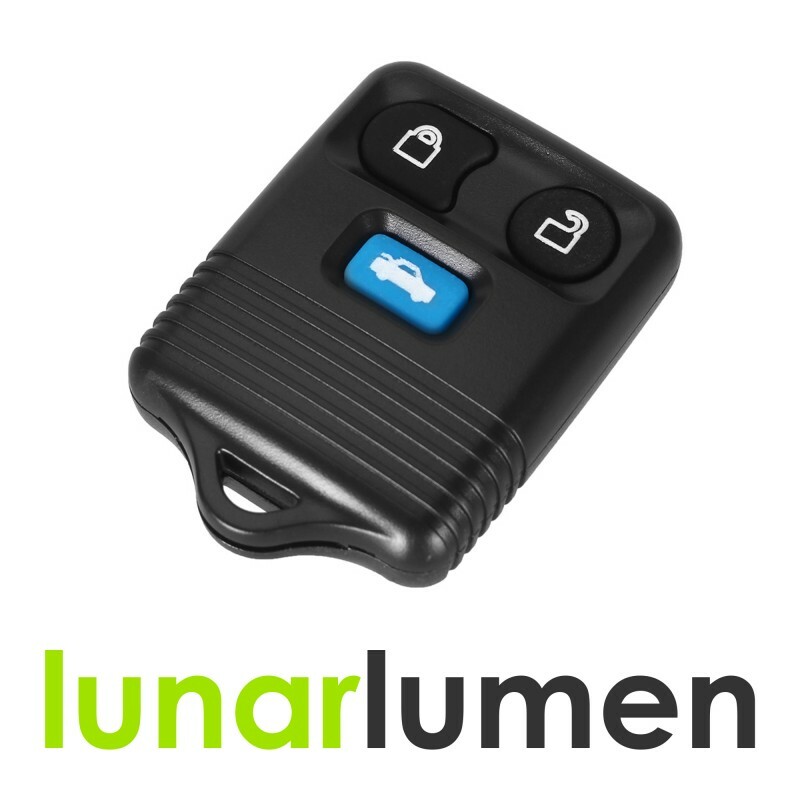 Compatible for EU/UK Ford models. Please read below for instructions. Please ensure this is same case you currently have and it will fit your vehicle. This is DIY project, we do not offer key replacement/repair service, if you cannot replace it on your own, any locksmith will be able to do it for you within a minute or two. 1. Close all doors, then open drivers side door and press Unlock button on the drivers door while the door is open. 2. Turn ignition ON/OFF - 8 times within 10 seconds, leaving it ON on the 8th time. Doors should lock and unlock, which means you entered programming mode. If it doesn't happen, try again faster, also make sure your car has keyless entry system. 3. Once in programming mode, press any key on new device within 8 seconds. Door lock should cycle to inform you about programming. 4. Turn the ignition off and you will leave programming mode. Your key now should be successfully programmed to your vehicle.